We are hosting our first student innovation competition this year titled, ‘What’s your big idea?’, ahead of the initiative’s second Innovation Symposium in October. 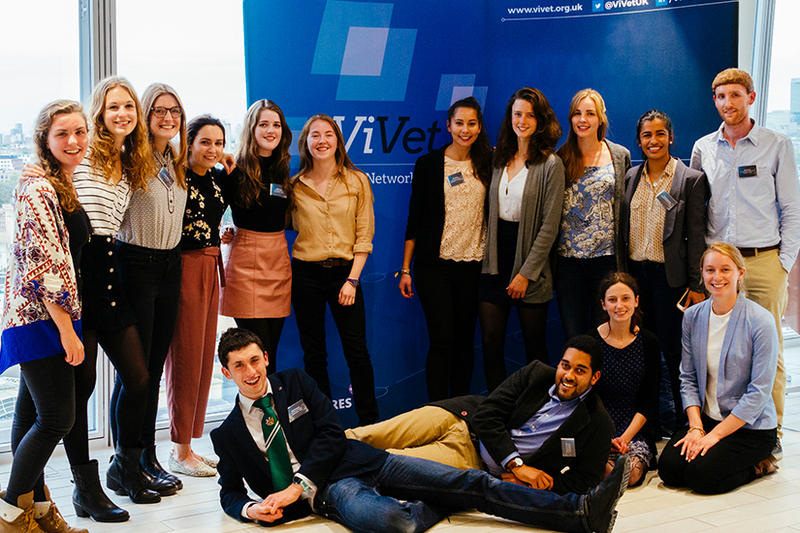 This competition is open to all UK-based undergraduate veterinary students and offers them the opportunity to work as a team to brainstorm, develop and present an innovative idea to a board of industry professionals. Students can enter either as a single applicant or as a group (of roughly five members), with single applicants then being placed in a group with other applicants from their university. There can be more than one team representing each university. Each applicant will receive support from one of the Association of Veterinary Students’ (AVS) Vet Futures Ambassadors, as well as a mentor session with a chosen industry professional to guide them on their project. The AVS developed the idea for the Vet Futures Student Ambassadors programme. 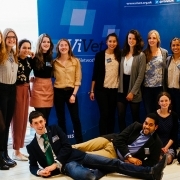 Two students each from the Universities of Bristol, Cambridge, Edinburgh, Liverpool, Nottingham, Surrey, and Glasgow, along with University College Dublin and the Royal Veterinary College (RVC) were selected to become Vet Futures Student Ambassadors who could champion Vet Futures within their schools and develop and deliver some student-specific projects in line with the Vet Futures ambitions. The Vet Futures Student Ambassadors presented the proposals for the dragon’s den style innovation competition and we have been supporting the students to deliver the project, with the aim to bring together the UK veterinary schools and other university departments to come up with innovative solutions. Each student’s project can cover any aspect of veterinary health innovation. Potential projects might include; innovations within veterinary education, innovations to improve sanitation and hygiene, innovations to improve veterinary-public communication and innovations to improve patient safety, to name just a few. These initiatives must show how they have improved upon – or extended beyond – current expectations of best practice in their chosen area. Themes chosen by the students as areas for focus have included; innovation, veterinary careers, communication with the public on animal welfare issues, mental health and wellbeing of veterinary professionals, and One Health. Teams will need to submit three components for judging: a log of their progress throughout the project (which can include social media updates using the hashtag #ViVetStudentInnovation), mentor engagement and feedback, and a five-minute video ‘business pitch’. 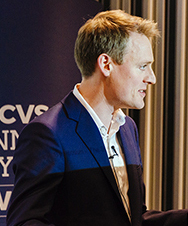 The three finalist groups of the competition will be invited to present their pitch to a board of industry professionals at a ‘Dragon’s Den’ style event held at the ViVet 2019 Innovation Symposium on Tuesday 1 October 2019 in Manchester. The winning and runner-up groups will then be selected and will be presented alongside the ‘mentor’s choice’ award. The Mentor’s Choice award will be selected by the team mentors. The prize will be awarded to an individual who shows excellence and enthusiasm within their work on the project. Anthony Roberts (pictured right), RCVS Director of Leadership & Innovation, said: “This competition provides a great opportunity for veterinary students to engage with their fellow classmates across different fields of study and to work on projects that could genuinely make a difference to animal health and welfare and the way veterinary services are delivered. We are now accepting registrations for the competition for the 2018/19 academic year. To enter, applicants must submit an online registration form. For further enquiries, please email the ViVet team.